The sturdiest, most structurally sound window built in America. These are the heaviest duty frames and sashes made. Designed to open from the top and the bottom and tilt in for cleaning from the inside, but unlike vinyl windows, these are built from the strongest of aircraft alumninum and approved for multi level applications. This is also one of the more expensive products out there and it doesn't quite meet Energy Star Requirements for U Values at or under .30. It comes in at a .35 on U Value. It can have Low E Glass and the other bells and whistles we see in vinyl windows but it's application is more commercial than residential currently. Don Young Company on Ambassador Row in Dallas has been making high quality double hung aluminum windows for more than 30 years. 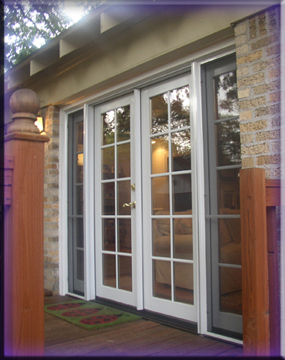 They offer a lifetime warranty and use the Cardinal 366 Low E Glass package with Argon Gas filled insulated glass. This product is often used where a Bronze exterior is needed and is wonderful for second floor applications due to the ease of cleaning. Mechanically assembled corners into screw boss extrusions using #8 sheet metal screws. 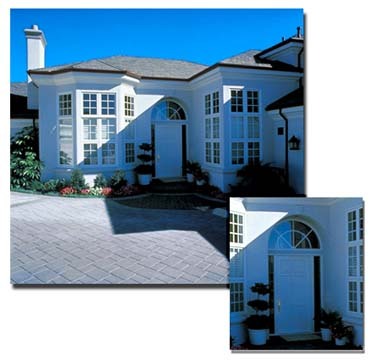 All windows can be with or without flat or contoured decorative grids. Full screens are required and allow operation and ventilation from both top and bottom sashes as well as tilt and clean feature. Windows are available in White, Bronze and Beige from all of our manufacturers and the new Adobe or Sandstone is available from a few. All parts and latches are removable and interchangeable in case of warranty repair. Screens are fully extruded aluminum as opposed to roll form screens and will provide years of durable service. Argon Gas is available in any high quality window. Builders grade windows don't offer gas between the panes but simple dead air space in a hermetically sealed environment. Argon is 5 times denser than oxygen and is an odorless gas that slows conduction and heat transfer through the glass itself. double hung, aluminum,windows, window, tilting, builders grade, remodelers, remodeling windows, grids, argon, triple glazed, double paned, krypton, extruded aluminumContact us today! I'm pretty proud of our relationship with Don Young Company and here's a great link to see more of their products.